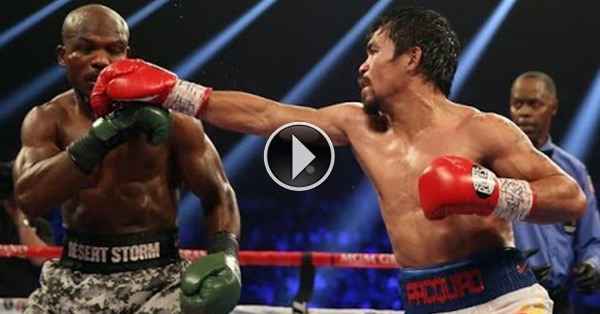 Manny Pacquiao and Timothy Bradley will face each other again for the 3rd time on Saturday, April 9, 2016. Here's how to watch the live stream. Some sports websites might provide the free live streaming feed for the undercard fights while blogs could resort to embedding of Pacquiao vs Bradley 3 livestream video from unknown internet sources. The match will be shown live on HBO pay-per-view. Bradley vs Pacquiao 3 will take place at MGM Grand Arena in Las Vegas on April 9, that's Sunday, April 10 in the Philippines. Their first fight, which Bradley won, happened four years ago. The decision was so controversial it became the reason for their second fight two years later. Pacquiao won the rematch. Bradley's performance in his November fight against Brandon Rios under a new trainer, Teddy Atlas, was said to be very impressive. Pacquiao, on the other hand, has not fought in 11 months after losing to Floyd Mayweather during a mega-fight in May last year. Reports said that right now, the Filipino boxing icon is aiming for a knockout as this will be his last fight before his retirement from boxing.